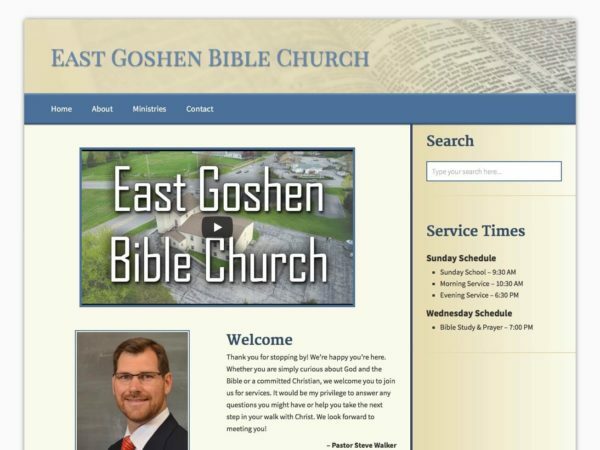 East Goshen Bible Church wanted a simple website that clearly communicated their message. I felt that this design fit the bill. The video on their home page was produced by Lens of the Harvest.